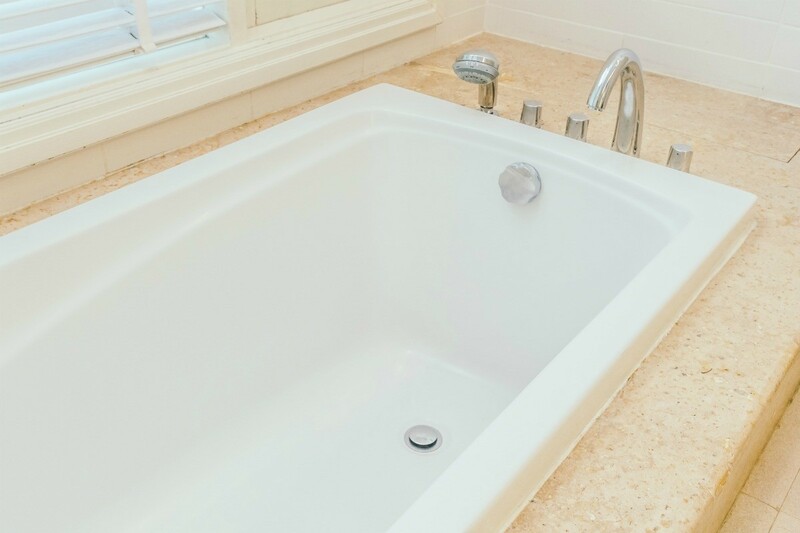 Depending on the material that your bathtub is made from, there are a variety of different ways to minimize or remove scratches on the finish. This is a guide about how to repair scratches on a bathtub's finish. I was removing appliques from a tub and scrubbed too hard taking off some of the surface. How can I fix it? Can I paint? I have painted a porcelain tub before. The local hardware store like Lowe's can show you the paint. My daughter was being helpful by cleaning her fish tank in our brand new bathtub. In so doing she made some deep scratches in the finish. Is there something I can do to remove deep scratches and refinish the areas, short of a professional job? What is the bathtub made of? What is the finish like? Certain cast plastics, having the color embedded, can be sanded with fine sandpaper or a sanding sponge. If the finish was glossy then a plastic polish can restore the glossiness. A matte finish may look OK even after sanding.